DUBAI: Dubai’s Emaar Properties plans to build a new tower in the emirate to surpass the Burj Khalifa, currently the world’s tallest building, chairman Mohamed Alabbar told reporters. The new project comes as Dubai developers continue to announce new schemes despite a softening real estate sector, with the Emaar-built Burj Khalifa expected to be usurped by a tower currently under construction in Saudi Arabia. 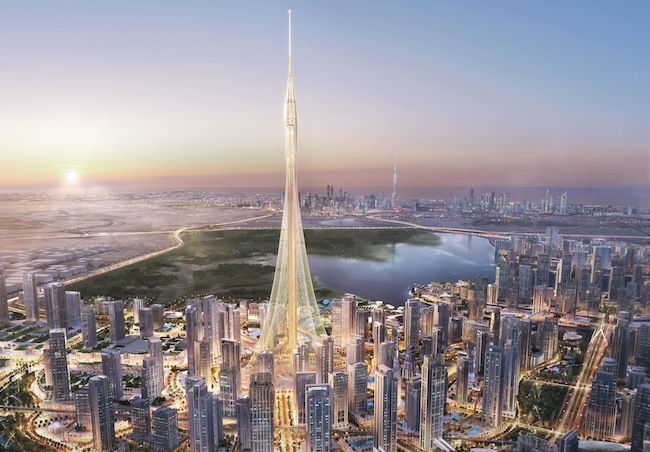 Alabbar would not confirm the height of the proposed new tower, saying only that it would be “a notch” taller than the Burj Khalifa, which stands at more than 828m. Supported by a matrix of cables, the futuristic tower will anchor the redevelopment of the Dubai Creek, the heart of old Dubai where traditional dhow boats continue to ferry goods. The tower, designed by Spanish-Swiss neo-futuristic architect Santiago Calatrava Valls, is slated to have a rooftop courtyard, residential units and a link to a retail plaza. The building is expected to be completed for the Dubai Expo trade fair in 2020, the same year that the km-high Kingdom Tower in Jeddah is due to overtake the Burj Khalifa as the world’s tallest building. Funding for the US$1bil project will be 50% equity and 50% debt, Alabbar said, undeterred by a residential property market that consultancy Cluttons said had softened for at at least five quarters.